The talented duo have used their love and respect for Reggae to guide their hands at bundling in excess of 80 classic Reggae songs which have been produced over the years in a mixtape called ‘Reggae Journey’. The songs which made the list are indisputably classics within the Reggae space both in Jamaica and across the world, as few genres have been welcomed to so many cultures the world over quite as well as Reggae as been since inception to date. Supporters often complain that Jamaicans and Jamaican selectors no longer appreciate the power of good Reggae songs. With the first installment of this mixtape Razz & Biggy are showing the world that the foundation built by Reggae is still being treasured and protected. The one hour spent listing to this compilation is sure to take you down memory lane for those old enough to remember the first time they heard these songs. Songs from John Holt (Stick by me), Sanchez (Forever), Dennis Brown (Get myself together), Gregory Issacs (Rumors), Bob Marley (Buffalo Solider) and also includes new age classics like Etana (Roots), Sizzla (Words of Divine), Junior Kelly (If Love so nice) to name only a few. 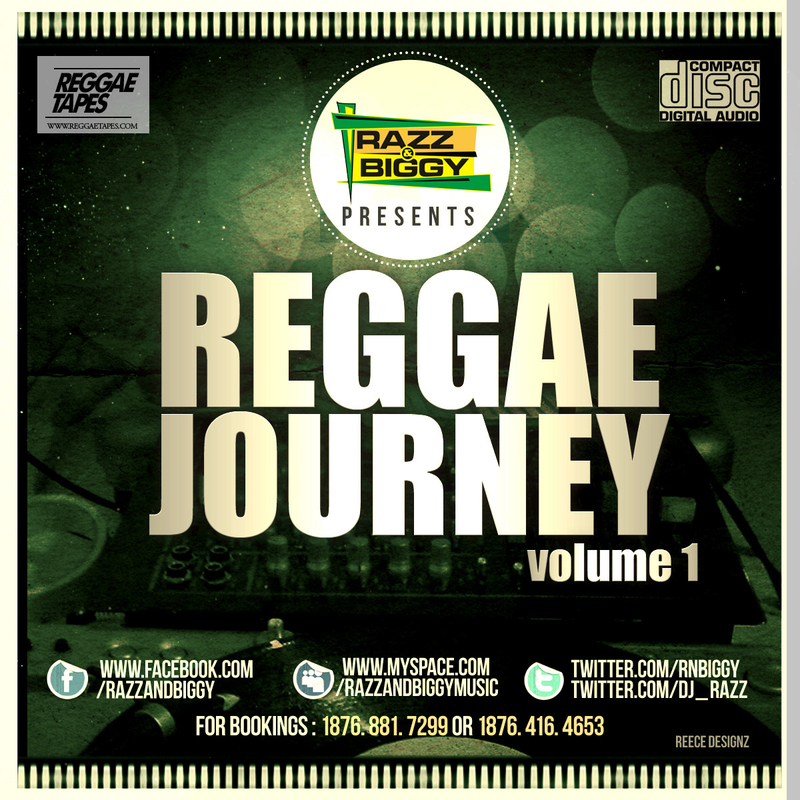 Already a hit on cyberspace the mixtape has garnered thousands of downloads via the duo’s main outlets: 1) Their website – www.razznbiggy.com, 2) From their ever popular Facebook fanpage – www.facebook.com/razzandbiggy and from their tweets - @rnbiggy and @dj_razz. The mixtape scene has been abuzz with activity since the start of the year with Razz & Biggy releasing quite a few mixtapes including E-Life (released in January), Live at After Dinner Sundayz (Released in February) and Aktion Pak (Released in March). Most recently they partnered with upcoming sensation Denyque to host her ‘I am Super Girl’ Mixtape.